I love photographing in urban settings. After growing up in Staten Island, NY near New York City and working 17 years in Manhattan, there is something about an urban city area that just feels comfortable to me. I especially love the area near 'The Green' which is located between South Tryon and College Streets. There are so many interesting sculptures and monuments and even just quotes and sayings scattered throughout the park. The backdrop for this photograph is located in the middle of a brick book sculpture and has the saying "Life is an Open Book" on the cover side of the art work. It was the perfect spot to place my subject and get a beautiful portrait with a unique backdrop. I would love an excuse to return with a tween to this location to photograph another session, because they are so fun. Additionally, the city of Charlotte has recently removed the permit requirement for photographers for the city parks, so now is a great time to visit our city parks for portrait sessions. 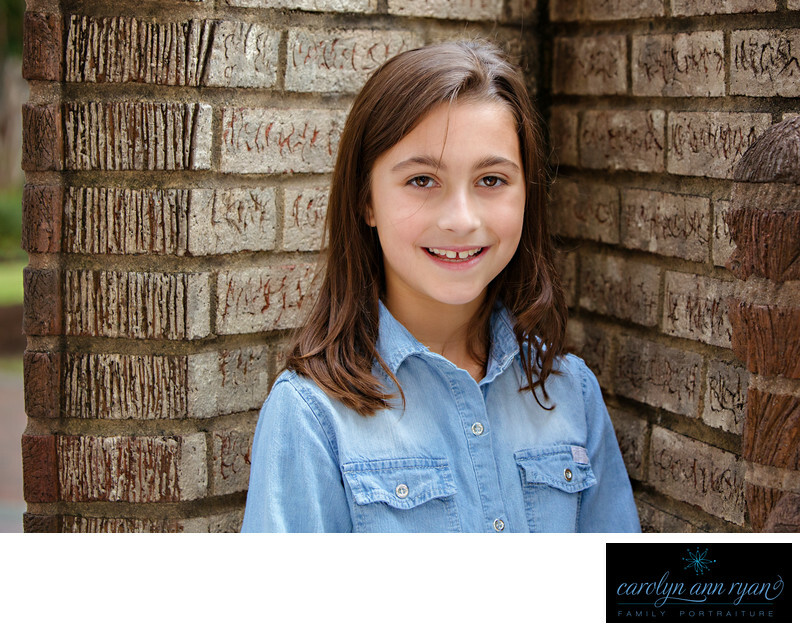 If you are interested in booking a session for your tween, please call my studio office at 704-456-7270 and I would be happy to answer your questions and explain all the amazing benefits of a tween portrait session with Carolyn Ann Ryan Photography. Location: The Green, Charlotte, NC. Keywords: Charlotte NC (180), Charlotte tween photography (12), charlotte tween photos (3), Charlotte tween portraits (12), girls (165), marvin NC (72), north carolina (78), Outdoor Portraits (30), photography (33), portraits (78), tween (81), tween photography (3), Tweens (60), uptown (12), urban (21), urban portraits (3).